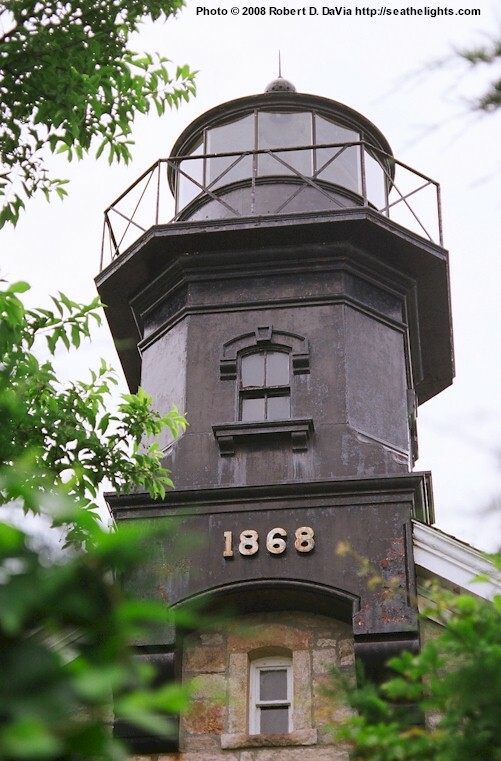 Construction of the original light was completed in 1824. The 30-foot octagonal tower was replaced in 1868 by the present granite structure. 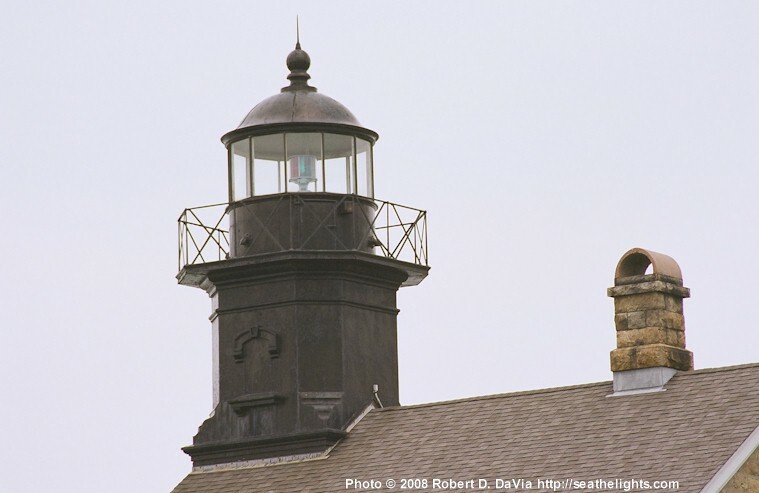 This light was built from the same plans used to build the Block Island North Lighthouse. 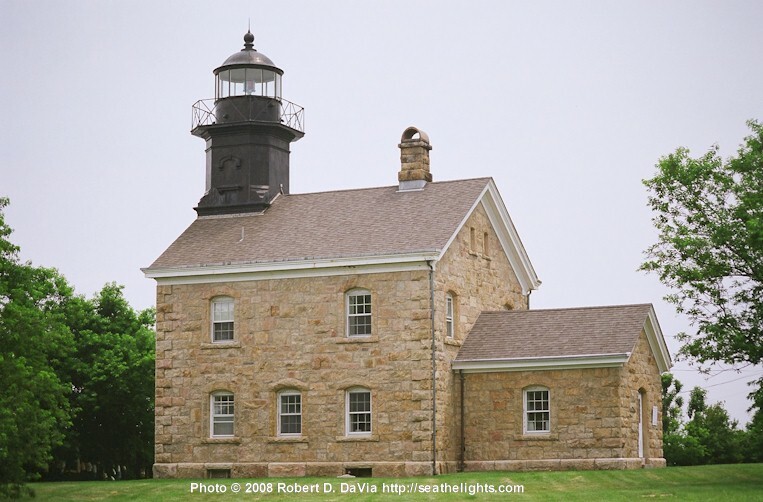 It also resembles the Morgan Point Lighthouse, the Sheffield Lighthouse and the Plum Island Lighthouse. 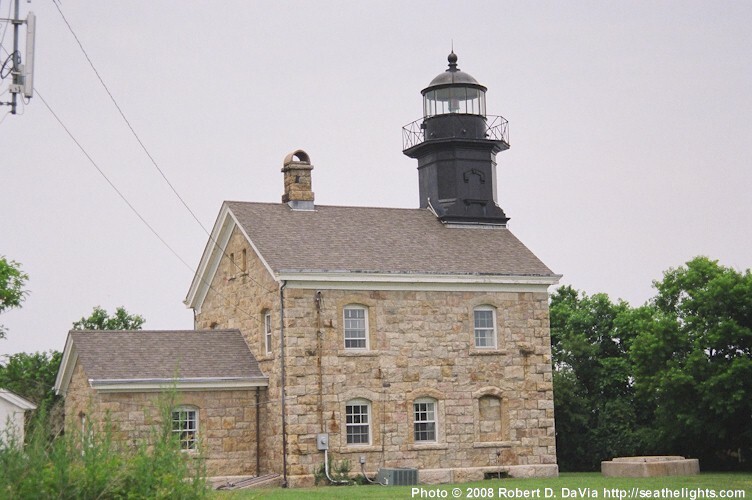 The Fourth-order Fresnel lens, installed in the original light in 1855, was used in the present structure until1933, at which time the light was deactivated, and the aid to navigation was placed on a skeletal structure. In 1991, the light was returned to the tower where it displays its alternating red and green flashes every 30 seconds. The glass and iron octagonal tower, twenty eight feet tall, stands 67-feet above Long Island Sound. The circular beacon area at the top of the tower is six feet in diameter and surrounded by an iron platform. Originally the tower was painted white but, due to maintenance and durability issues, has now been painted black. 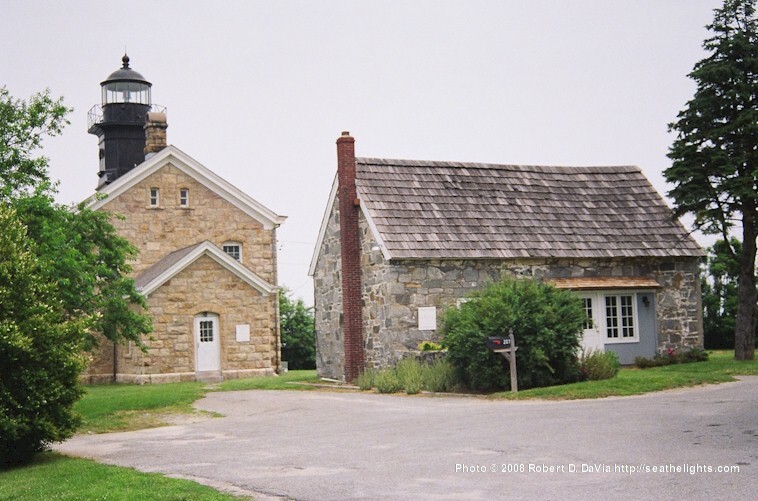 Today, the lighthouse serves as the Village of Old Field Village Clerk and Court Clerk offices. The former Light Keeper's house on the right serves as the Village of Old Field Justice Court and Code Enforcement Officers building.